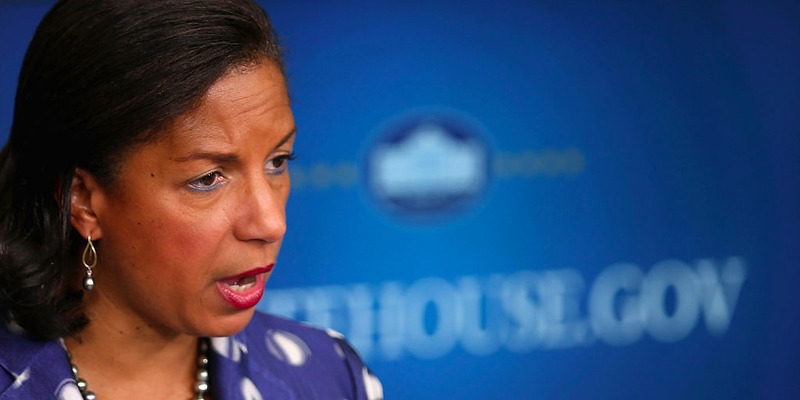 The Senate Judiciary Committee recently obtained an email from former national-security adviser Susan Rice memorializing a January 2017 meeting she had with former President Barack Obama and top intelligence officials to discuss Russia’s interference in the 2016 US election. Republican lawmakers said the email raised new questions about Obama’s alleged interference in the FBI’s work. But legal analysts said that rather than being proof of wrongdoing, the memo highlighted how seriously the previous administration took Russia’s election-meddling and question of Trump-Russia collusion. Senate Judiciary Committee members Chuck Grassley and Lindsey Graham have set their sights on former national-security adviser Susan Rice as they scrutinize whether senior government officials acted improperly amid the FBI’s investigation into Russia’s interference in the 2016 election. According to an email from Rice that Grassley and Graham cited in a letter they sent her last week, former President Barack Obama suggested in early January 2017 that intelligence officials be cautious when sharing information related to the FBI’s Russia investigation with the Trump transition team. Rice sent the email in question to herself on January 20, 2017 – the day of President Donald Trump’s inauguration. The email memorialised a January 5 meeting she attended which involved Obama, then-Vice President Joe Biden, then-FBI Director James Comey, and then-Deputy Attorney General Sally Yates. In the letter they sent to Rice last week, Grassley and Graham said it was “odd” that Rice would send herself such an “unusual” memo about the meeting on her final day as an Obama administration official. As part of their investigation into alleged misconduct at the FBI and the top ranks of the Obama administration, Grassley and Graham asked Rice a number of questions related to Rice’s knowledge of the FBI’s Russia investigation; her knowledge of the October 2016 FISA application to surveil former Trump campaign adviser Carter Page; whether anyone else at the January 5 meeting memorialised the conversation; what the attendants discussed regarding Steele and the dossier; and the extent of Obama’s involvement with top officials to discuss the Russia probe. 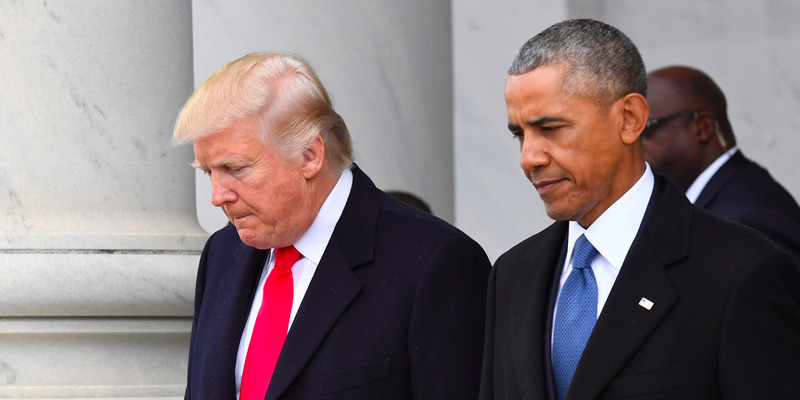 Trump’s loyalists pointed to the newly-revealed Rice email as evidence of the Obama administration’s close involvement in the Russia investigation and interference in the FBI’s work. But legal analysts said Tuesday that the email does not indicate wrongdoing on the part of Obama or senior intelligence officials. They added, moreover, that it illustrates the extent to which the previous administration was concerned about potential collusion between Russia and members of Trump’s campaign. Indeed, Rice’s own involvement in the Russia controversy stems from her decision to “unmask” the names of Trump associates contained in intelligence reports she obtained while she was national security adviser. The reports “were summaries of monitored conversations – primarily between foreign officials discussing the Trump transition, but also in some cases direct contact between members of the Trump team and monitored foreign officials,” Bloomberg’s Eli Lake reported last year. National-security experts said Rice’s requests to identify who was speaking with the foreign officials before Trump was inaugurated were neither unusual nor against the law – especially if, as Lake reported, the foreign officials being monitored were discussing “valuable political information” that required the identity of the people they were speaking to, or about, to be uncovered. Ohlin said it was “totally appropriate,” given the topic of conversation, for Rice to memorialise the January 5 meeting with Obama and other top intelligence and law-enforcement officials. Several current and former Trump administration and campaign officials were found to have been in contact with influential Russians during and after the 2016 election, including former national-security adviser Michael Flynn, attorney general Jeff Sessions, senior adviser Jared Kushner, former campaign foreign-policy advisers George Papadopoulos and Carter Page, former campaign chairman Paul Manafort, and Trump’s eldest son Donald Trump Jr.
Flynn was the first former administration official – as opposed to campaign adviser – to be formally charged with making false statements to the FBI. According to court documents, he lied to FBI agents, during a January 2017 interview, about his conversations about sanctions with Sergei Kislyak, Russia’s former ambassador to the US, in December 2016. Flynn’s interactions with Kislyak were picked up while the US was monitoring the Russian ambassador at the time, and his name was “unmasked” in subsequent intelligence reports.